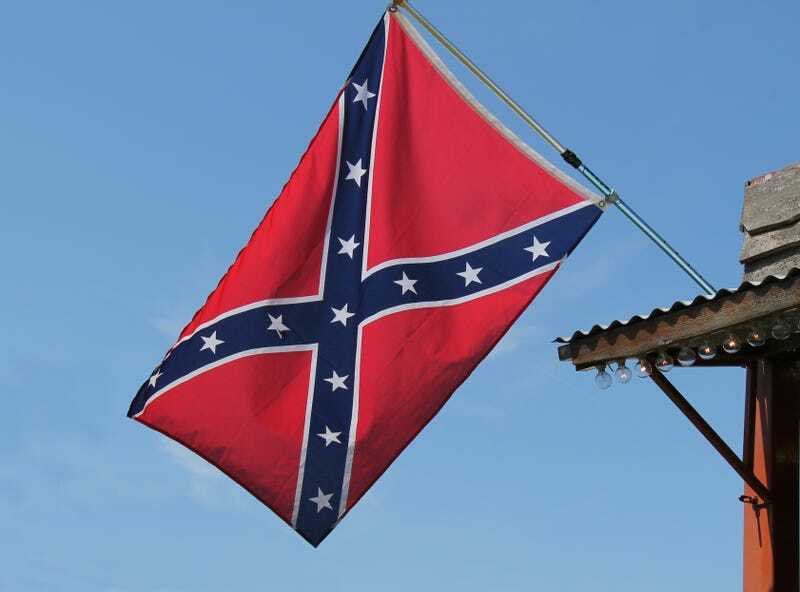 Parents are speaking out after reports that a Confederate flag was found hanging inside a Sutter Middle School classroom in Folsom, Calif., CBS Sacramento reports. According to the news station, it is not the first time the teacher in whose classroom the flag was found has been accused of racially charged actions. Parents want to know what the context of the lesson was and why the flag was ever hung. “There are upsetting things that have happened in our past. I would hope that he would teach them in a sensitive manner so that nobody is offended, but I do think it’s important that they be taught,” Melissa Mooy, who has a daughter in the class, told the news station. The teacher in question is currently on paid leave. CBS Sacramento reports that this is the second time in less than three months that the teacher has faced racist allegations. The teacher last came under fire after giving a racially charged explanation for equality. The incident upset the McIntyres’ son, Tyler, who was the only black student in the classroom at the time. The flag was removed from the classroom, as was the teacher in question. The school district stated that racism will not be tolerated, according to the report. “Prior to this incident being brought to light, the principal was starting a new project where they are bringing in a coach to create student-facilitated discussions around their experiences,” Thigpen added. A school board meeting was scheduled for Thursday at 7 p.m.